After the picking has been completed the next activity is Packing process. 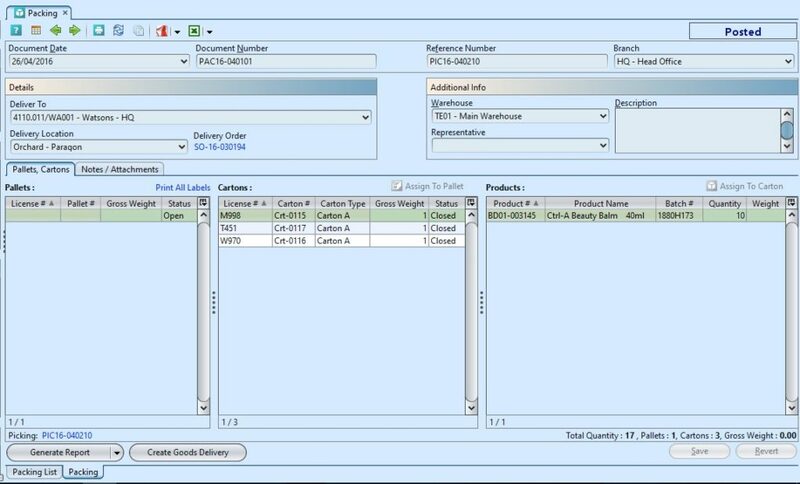 Using GOOMI’s Packing application, user can manage the packing process for products that have completed the picking process to prepare it for goods delivery. 1. Open packing from “Inventory – (Outbound) Picking” by clicking on the “Show Packing” link highlighted in blue at the bottom left of picking document. 2. 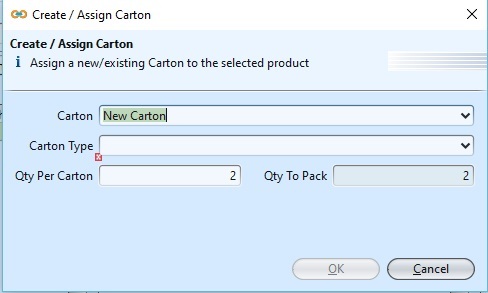 There are two ways to assign products to carton. 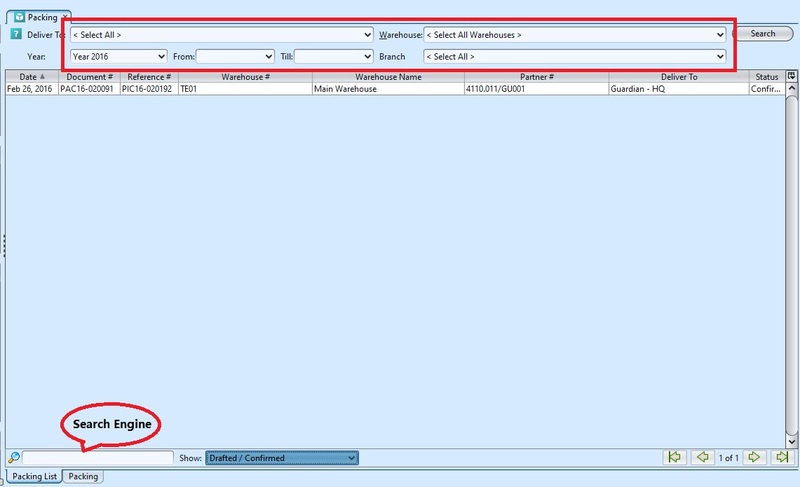 Click on or right click on the mouse on the selected products, fill up the information and click ok.
3. 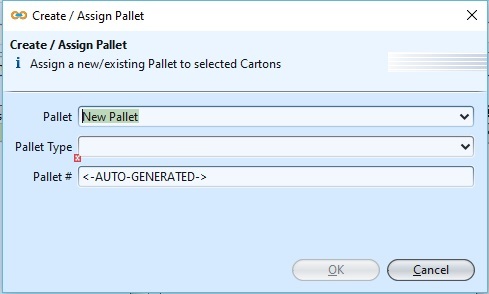 There are two ways to assign cartons to pallet. Click on or right click on the mouse on the selected carton, fill up the information and click ok.
4. 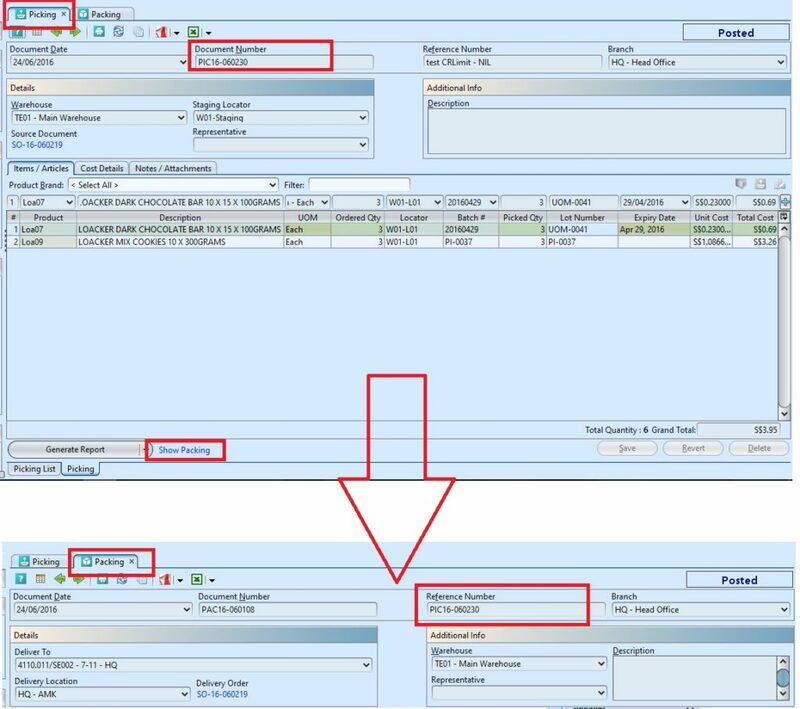 User may attach notes and any other documentation attachment to the transaction records from the “Notes / Attachment” tab. 6. Click “Confirm Packing” button at the bottom of screen to confirm the packing. 7. Click “Complete Packing” button at the bottom of screen to post the packing. 8. 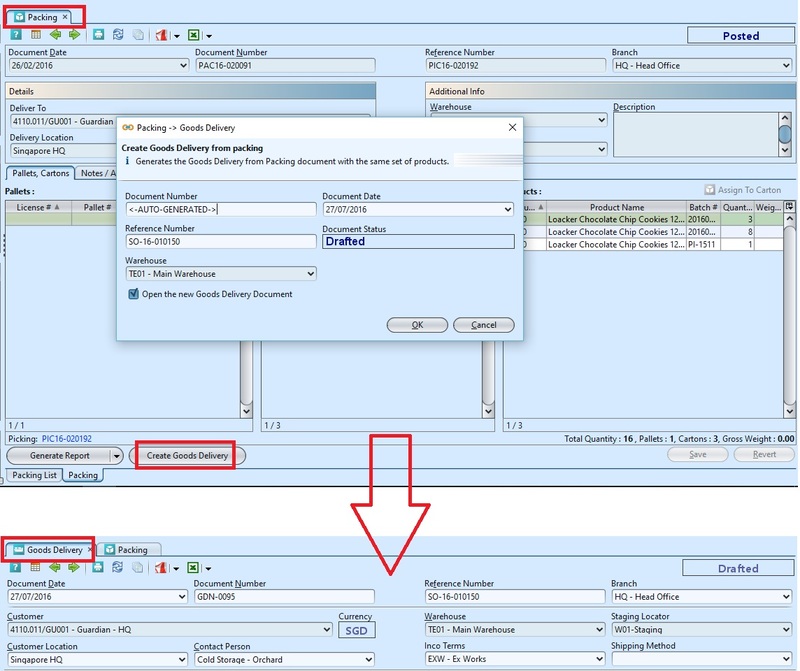 Click arrow on “Confirm Packing”, “Complete Packing” or “Generate Report” button at the bottom left of screen and select “Generate Report” option to generate report. 4. Click on “Confirm Packing” button at the bottom of screen to confirm the packing. 5. Click on “Complete Packing” button at the bottom of screen to post the packing. 2. Enter search parameter to filter the result, i.e. type in which warehouse to search for in the “Warehouse” text field box. 3. 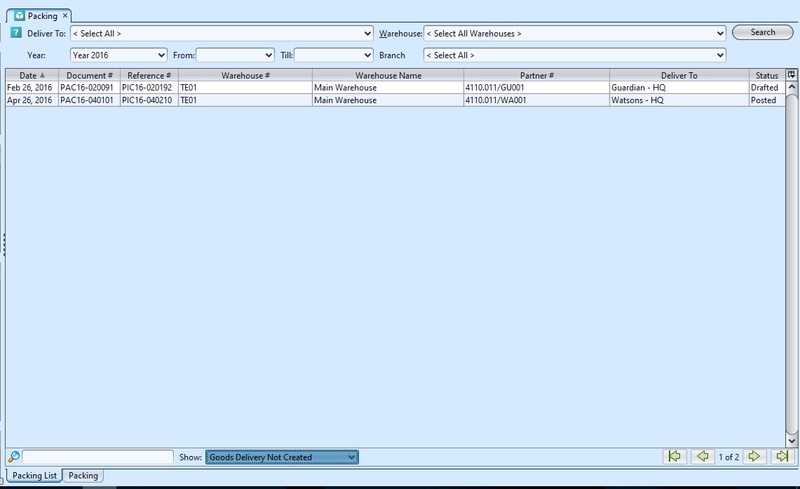 At the bottom of the screen, the user can search or list the packing documents based on its status, i.e. drafted / confirm, Goods Delivery Not Created, Goods Delivery Created, or show All Documents.